I used to go into a serious tailspin when my plans didn’t work out or got thwarted for whatever reason. But experience is a good teacher– and the Holy Spirit gives wisdom through God’s word when we embrace it. That’s why the following passages are vital to my emotional well-being and joy quotient. 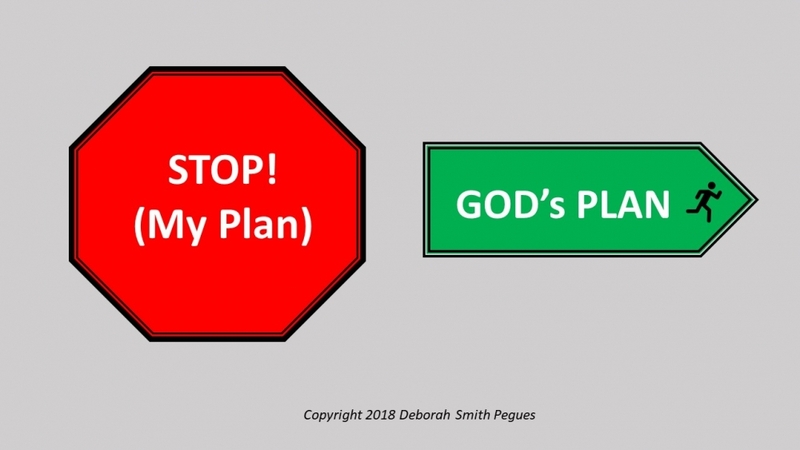 “For I know the plans I have for you,” declares the Lord, “plans to prosper you and not to harm you, plans to give you hope and a future.” Often times, God is the only one who is clear on the plan and this is where we must learn to stop living in the “sense realm” and decide to stop second-guessing Him. Surrendering is the wisest choice here. LORD, I THANK YOU FOR YOUR PLAN THAT IS PREVAILING IN MY LIFE. HELP ME TO SEE IT, ACCEPT IT, AND WALK IN IT WITH JOY. Tags: faith, God's plan, good plan, my plan, plans, surrender, trust.